Well over a month ago I shared my Drunk Elephant skin care, an updated skincare routine featuring all Drunk Elephant products. If you haven't read that post I suggest you check it out first since that routine focuses all on my face skin care. Today I am going to share somewhat of part two of my skincare routine but this will include products I like to use daily and weekly on my face and body, along with the occasional skin treatments. My daily facial skin care routine is essential to me. Apart from my face, I try to make sure I also take care of the skin on my body by moisturizing it every day. This step was one I used to always skip up until a couple of years ago. Last few years I began noticing my skin changing, specifically in colder months. It was becoming dry and itchy. People always say to moisturize your body, but only a couple of years back was when I realized you should really moisturize your skin (body), all the time! This all may begin to sound very repetitive in my skincare posts, but, I have learned that by moisturizing your body it will keep it looking it's best along with preserving your youth. Keeping your body moisturized also prevents it from looking ashy and getting dry and itchy. Since I'm a tattooed woman this step is even more important for me to do since by keeping my tattoos hydrated it keeps them looking vibrant. 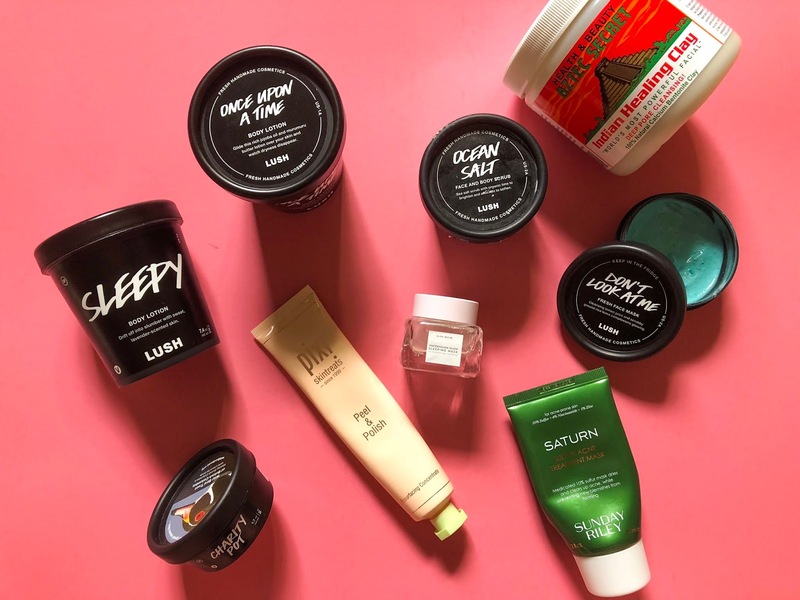 Here are three of my favorite body lotions all from Lush Cosmetics. In no particular order; Once Upon A Time, Sleepy (especially for nighttime use), and Charity Pot. Not only do these smell amazing but they're all well known for soothing irritated and sensitive skin. Every time I step out of the shower I lather myself in one of these lotions especially if I just shaved my legs. Typically I alternate with each of them depending on my mood. Another product from Lush that I also really enjoy using specifically on my tattoos is Elbow Grease. This product gives deep hydration to the skin because of all the wonderful oils in it and it brightens up the color on tattoos. 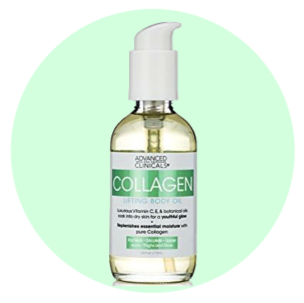 Lastly, when I feel my skin is very dehydrated I grab my collagen body oil. This oil does a fantastic job at sinking into the skin immediately and never leaves me feeling sticky. Collagen is great for the skin because it contains different vitamins one being vitamin C which helps brighten your skin along with anti-aging. I speak a lot more about this on my how I keep my tattoos bright post I really suggest you checking that out. And you don't have to have tattoos to read the post or do any of the steps I mention. As for weekly, I try to perform a different kind of face mask. I try to do at least one to two face masks a week, three if its a really good week to go ahead and treat my skin, and if I have the time for it. Doing a face mask is something I've always enjoyed doing and I make sure to look at this step more of a pamper rather than a chore. Since I've already touched on the Drunk Elephant T.L.C Sukari Babyfacial on my Drunk Elephant post, I'm going to go ahead and skip talking about it today. But head over to that post if you're interested in hearing my thoughts on the mask. I have tried a variety of masks and a few of my favorite type is definitely a detoxing mask for blemishes. Two of my all-time favorite masks for this is the Aztec Secret Indian Healing Clay Mask and the Sunday Riley Saturn Sulfur Acne Treatment Mask. Both of these masks do a really good job of getting deep into the skin and withdrawing impurities helping get rid of any existing breakouts and preventing blemishes from appearing. I'm dedicated to both of these masks because I have seen tremendous results when using them. I do feel the Aztec mask is more powerful in my opinion, it's very intense. I've talked about both of these masks on my blog in the past for good reason, and you'll even be seeing more on the Aztec clay mask some time soon in a future post. Another type of mask I like to use is a hydrating kind. One hydrating mask I fancy is the Glow Recipe Watermelon Glow Sleeping Mask. I try to always use a hydrating mask after using a detoxifying mask and especially after using the Aztec Indian clay mask. That mask can really dry out my skin so I like to give back any kind of moisture I can to avoid dry spots. The watermelon glow mask always leaves my skin soft, plump, and it smells amazing! Sheet masks are another favorite hydrating mask to use, I just don't have a specific kind I enjoy since I've liked nearly all that I've tried. Plus sheet masks do a tremendous job at hydrating the skin and once you peel off the sheet you rub in all the leftover product into your skin. I'm always left with the glowiest skin ever! Depending on how dull my skin is looking once in a while I'll use an exfoliating mask the Don't Look At Me fresh face mask from Lush Cosmetics and the Pixi Peel & Polish mask are a favorite! Both of these masks gets rid of any dry patches and all dead skin on the skin revealing softer glowy skin. Always make sure that when using an exfoliating mask to be very gentle on your skin when scrubbing the face, you wouldn't want to do any harm to it like causing premature wrinkles. The Don't look at me mask can also double up as a body exfoliant which brings me to my last weekly step! The last step I try to do weekly is exfoliating my body. Once again this will help get rid of any dead skin and leaves your skin bright and soft. I always do this step if I'm going to be shaving, especially over my tattoos. Doing this step before shaving can help prevent ingrown hairs. I don't have a specific product I use, but once in a while, I use Ocean Salt also from Lush. This is Rudy's go-to product he absolutely loves it and hates sharing it with me haha. Lastly, I wanted to add a product I occasionally use as a treatment. 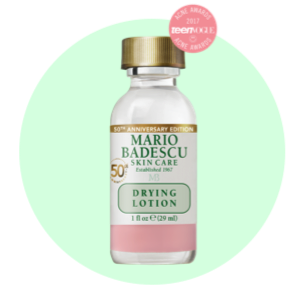 I have been using the Mario Badescu Drying Lotion for about four years now and is the best product I have found as a spot treatment. I usually use this whenever I have large blemishes typically around the time of the month that Aunt Flow decides to pay a visit. Oh, and I can't forget the days when I have no self-control when it comes to chocolate, ugh that's my weakness. Most times this diminishes the appearance of my blemish dramatically. This is definitely one of my can't live without product for sure. We have now reached the end of my skincare routine part 2. I would love to know what are some essential products and steps in your skincare routine. Great post! We use many of the same products. Did you see Lush is now carrying XL pots? If I could get Ricky to use Ocean Salt, I would definitely buy it. I did, but I wasn't sure if they're carrying XL for all their products? I haven't been to Lush in a while I have to go and check it out plus Rudy is out of Ocean Salt lol. lovely post! I love pixi peel and polish too! I wasn't expecting to enjoy it as much as I do. I love that I see immediate results with it. Thanks so much for stopping by. This fixing will likewise animate the creation of collagen.Sophia Loren Face Cream It will likewise lessen scarcely discernible differences and profound set wrinkles. These choices work for the most part on improving the general soundness of the skin and restraining the generation of melanin,Visit This Link the shade whose more than wanted creation causes a darker skin tone.